On Molly Circle and California Street. 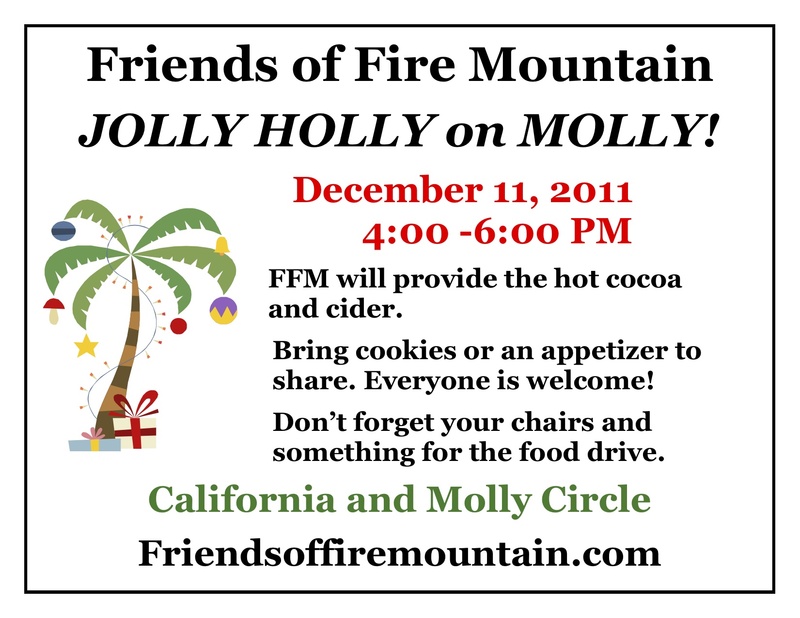 Friends of Fire Mountain will provide hot coco and cider, you bring sweets or an appetizer to share. Don’t forget your own chair and a little something for the holiday food drive!